ItemB-04106 - Entrance to Stanley Park, Vancouver. ItemB-04107 - "Hunters picnic, Langford Plains, July, 1896". ItemB-04109 - Students in front of the annex of the second Victoria High School, 1882 to 1902; Mr. R. Otterhaus and class. ItemB-04231 - "150 Ranch Buildings, 150 Mile House, BC." 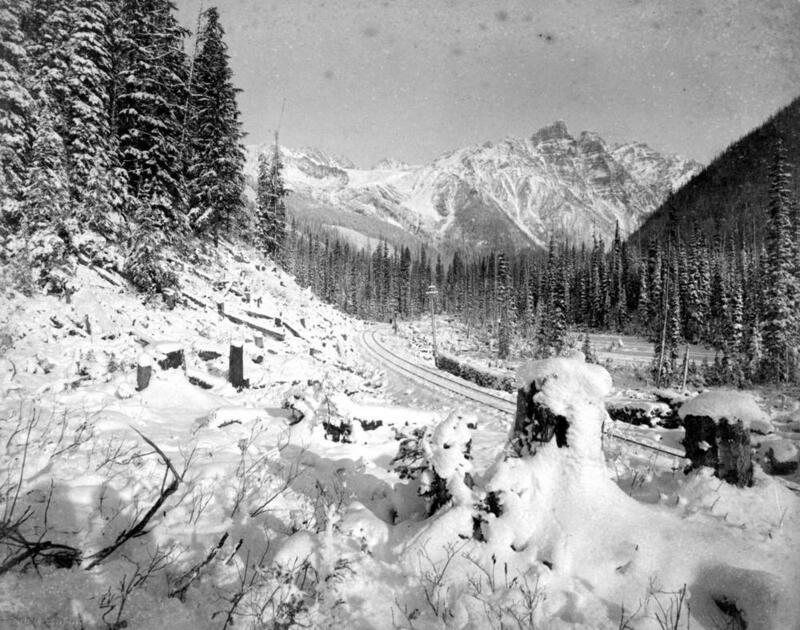 ItemB-04124 - The Canadian Pacific Railway tracks through the Selkirks at Rogers' Pass; Mount Hermit. ItemB-04128 - Alexander Street between Main and Columbia, Vancouver. ItemB-04200 - The Taylor Mill Company, Government Street, Victoria; teams at the front of the shop. Item B-04124 - The Canadian Pacific Railway tracks through the Selkirks at Rogers' Pass; Mount Hermit. The Canadian Pacific Railway tracks through the Selkirks at Rogers' Pass; Mount Hermit.